THE B-MOVIE NEWS VAULT: STOCK YOUR VAULT: New DVDs & Blu-rays for 03/13/2018! STOCK YOUR VAULT: New DVDs & Blu-rays for 03/13/2018! Greetings Vault Dwellers! We're about halfway through March, and in my neck of the woods, Old Man Winter is doing his level best to make our lives difficult. However, even he cannot stop the awesome power of our favorite Cult, Horror, and Exploitation labels! 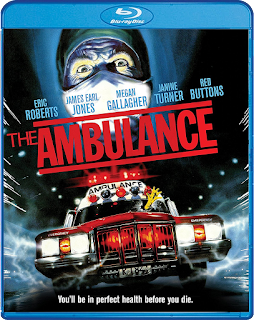 Arrow Video broke up their George A. Romero boxed set to give THE CRAZIES, SEASON OF THE WITCH, and THERE'S ALWAYS VANILLA separate Special Edition releases, Scream Factory brings THE AMBULANCE to Blu-ray for the first time ever, and VCI gives TWILIGHT PEOPLE its Blu-ray debut! But the real juggernaut this week is Synapse Films who have just unleashed their 2-disc Special Edition of Argento's SUSPIRIA, the highly-anticipated UNEARTHED AND UNTOLD: THE PATH TO PET SEMATARY documentary, and an animated feature called PATH OF BLOOD! The rest of this week's new titles are rounded out with classic TV shows (e.g. ALFRED HITCHCOCK PRESENTS, AMAZING STORIES), indie fare, and several worthwhile mainstream titles, including JUSTICE LEAGUE, THE DISASTER ARTIST, and Guillermo del Toro's Oscar-Winning film THE SHAPE OF WATER! 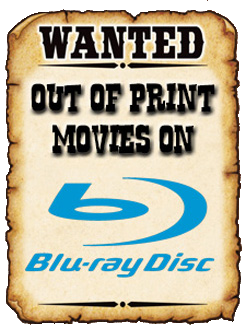 To see the full list of this week's new DVD & Blu-ray releases, continue onward!